This is a compilation of genealogical items and artifacts like the boats used in Worcester County, along Maryland's Atlantic Coast. At the moment it is not very fancy, but as I add more material I will also add a better index. If there's no link saying "Click here", I haven't prepared the materials yet. My mother's side of the family comes from Worcester County, MD, where they used to live within spittin' distance of Sinepuxent Bay. One of their houses, called The Fassitt House and built about 1720, still stands, near what used to be Sinepuxent Inlet. My mother started out in about 1997 by searching for information about her great-grandmother, Laura Louise Fassitt Tingle, who lived into her 90s. That's Laura, to the left, but we didn't find her picture until February 2000. See a Tintype of Laura. Sinepuxent Inlet disappeared after storms in the 1820s, but it's there on charts dating earlier, near South Point along Sinepuxent Bay. Only small vessels of say 10ft draft could get into the Inlet, but it was used by local merchants and by Revolutionary War blockade runners. The family's boats circa 1850 might have looked like this. 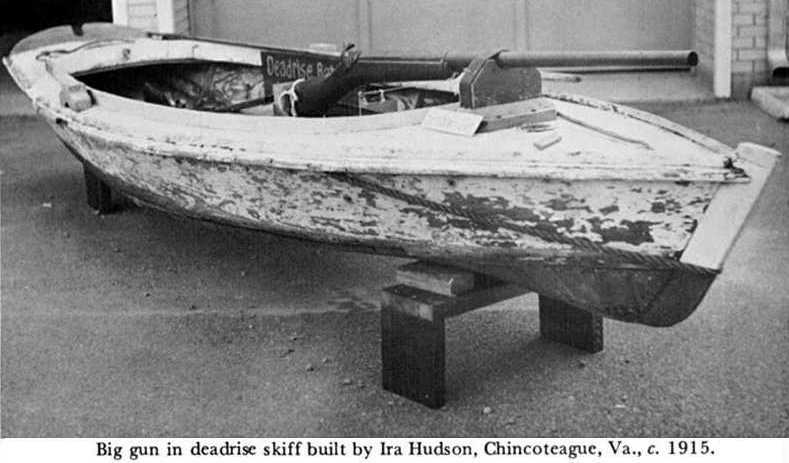 This is a "Seaside Bateau" or "Sinepuxent Skiff", which came in a large size for serious fishing, and a smaller size as a utility boat. According to letters which the Chesapeake Bay Maritime Museum has, the small skiff used the mizzen (or as they call it, the mainsail) from the larger bateau. There is much flare to the sides because these boats would go in and out of the inlets and into the ocean along Assateague, Chincoteague, Fenwick Island, etc. I'm sure the straight keel and skeg were to help the boat track straight if it encountered swells returning through the inlet. I'm working on a 1/3 scale model. I studied the plan and used a CAD program to lay out bulkheads or frames to build the model around. We'll see how that works out. You don't need computers to build this boat. You can see a number of these bateaus in their native stomping grounds in an excellent photo book called The Barrier Islands, by C.J. Badger and Rick Kellam. The book concerns itself with Hog, Cobb, Smith, Cedar, Parramore, Metomkin and Assateague Islands down the Eastern Shore. 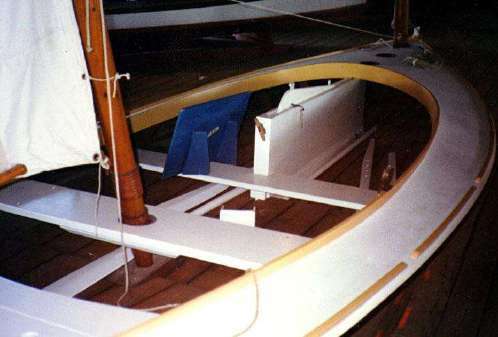 (one sail) as drawn by Howard Chapelle. Plan is from the Chesapeake Bay Maritime Museum's plans collection. Bessie Lee, the 20-foot Seaside Bateau at the Chesapeake Bay Maritime Museum: two-sail periauger rig or "cat-yawl". 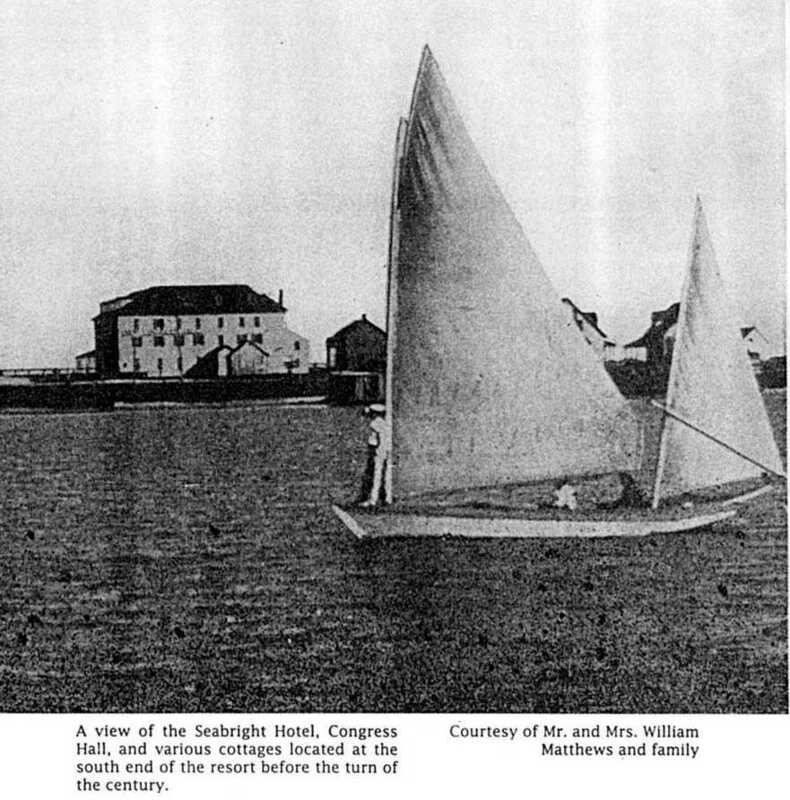 Click Here for a photo under sail, from A Heritage in Wood, which describes some of the CBMM's collection. Go to their Page and Bookstore to order the book or the plans for Bessie Lee. Here is a Bessie "study plan" so you can take a look and see the similarity between the two seaside bateaux. Ocean City, 1890s; and a small bateau modified to hold a punt gun (not the normal gear for these boats). Many names of Colonial families. Said to be the earliest complete tax levy in Maryland. Click here. Don't ask me for more info on these names, because I don't have any. An index of property owners in Worcester County online at the MSA. Click here. 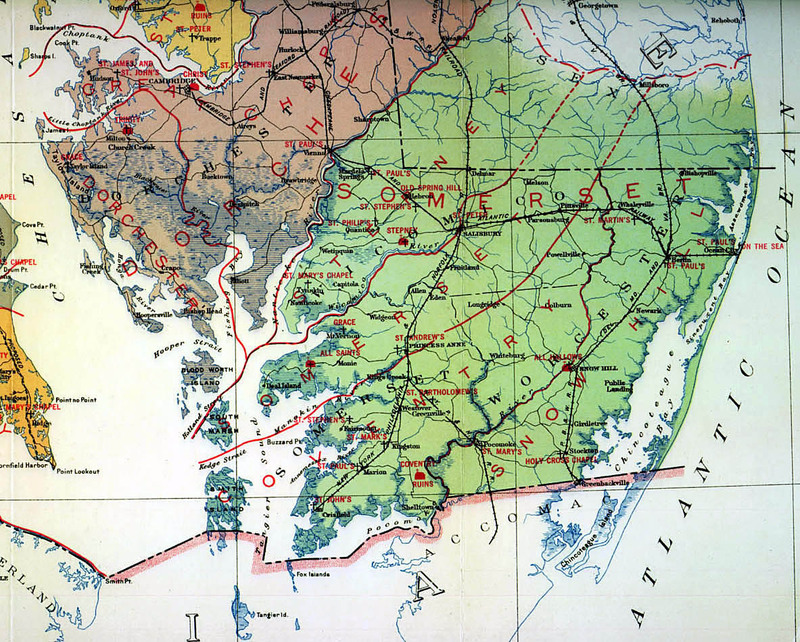 This shows Maryland's Anglican Parishes - I have included only Eastern Shore counties - and shows the disputed border with Delaware. A more complete scan will be posted later but I have to piece bits together. Note: the maps are JPG files around 150K-335K, and I suggest you download whichever one you are interested in to your disk. The original county names are shown on the map in large red letters. published by Norman, Remington Co, Baltimore, 1923. 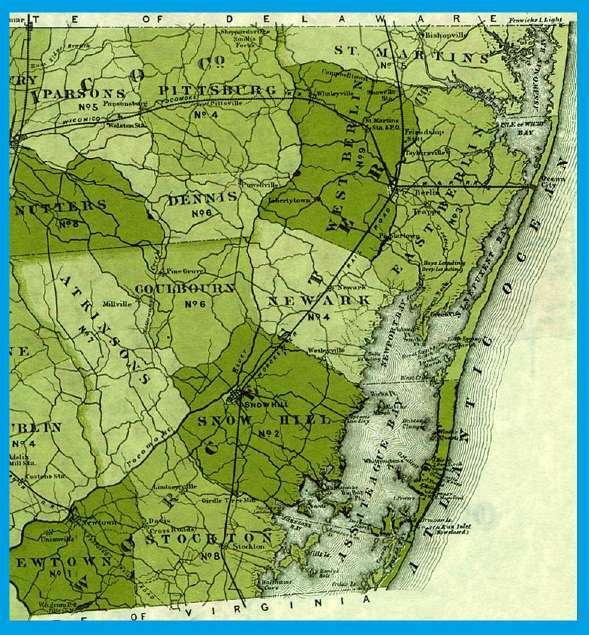 The French copied the Fry & Jefferson map of the Atlantic colonies: Click here. The map covers today's Somerset, Worcester, Accomac and Northampton Counties. A piece of the Griffith map of Maryland showing towns, mills, taverns, churches in Somerset and Worcester Counties: Click here. Nice large images of other Eastern Shore counties (Cecil, Kent, Queen Anne's, Caroline, Talbot, Dorchester) and Delaware from Griffith's map are here. WORCESTER COUNTY records concerning Fassitts, from the county courthouse in Snow Hill. Click here. Note that I haven't got all of the page numbers down. From a catalog printed by the Library of Congress, The American Revolution in Drawings and Prints. Click here. Who's who in local county government: Dorchester, Kent, Somerset, Talbot, Worcester. Click here. Farmers, merchants and citizens. Click here. Early work by the U.S. Coast Survey. 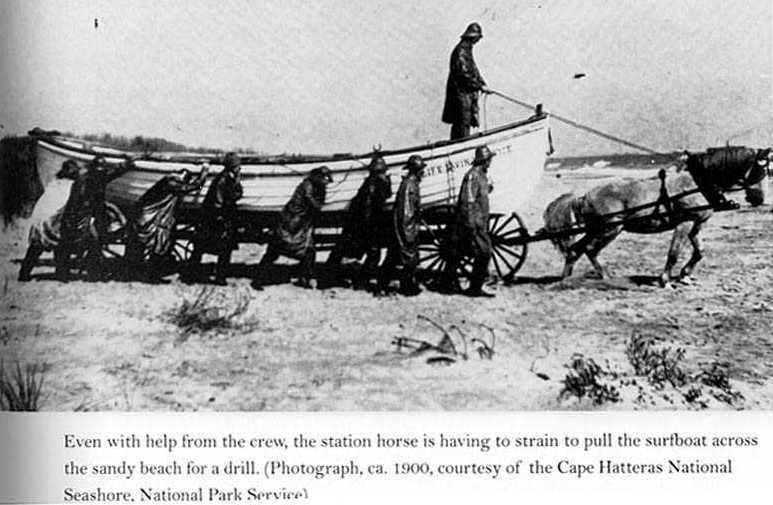 What Assateague used to look like. Click here. 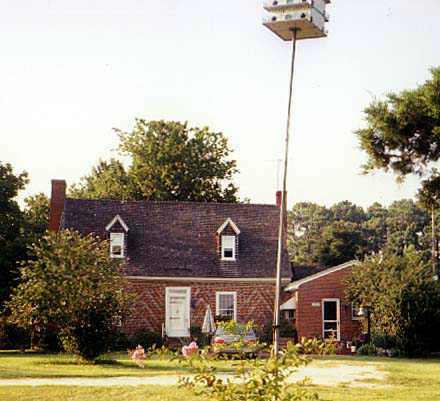 Search this web page for items having to do with Eastern Shore counties. Let the page load completely, it's 100K, but it's easier than dealing with the Maryland Historical Society's web site. I've extracted items for you based on keywords. There may be other items in the MHS Guide, but this is a start. John Cropper runs off with John Fawset's widow, circa 1680. Ah, the good old days. Click here for the story of a deathless romance. Historical notes on schooners and sloops of the Chesapeake Bay. Click here for excerpts from Geoffrey Footner's Tidewater Triumph. Wm. T. Hooper's memoirs, from about 1970, about his days under sail on the Chesapeake. Not a Fassitt relative, but the booklet he published is great reading. Click here. Five chapters from Ralph D. Paine's The Ships and Sailors of Old Salem. It's not about Worcester County, but it gives a flavor for the Colonial and Revolutionary seafaring days when the Fassitts were trading with the West Indies and elsewhere. Surely some Salem captains knew Captain Fassitt, and vice versa. Besides, it's full of good tales. Click here. Roguish French Privateers during the French & Indian War, as per Ben Franklin's Pennsylvania Gazette. Click here. The 10-ton letter-of-marque sloop DOLPHIN, 1777, and Rouse Fassitt's Libel, 1779. Exciting times in the American Revolution. British prisoners from the Mermaid. Click here. More "Senepuxen" doings during the Revolution. More Mermaid. Click here. The Philadelphia Fassitts, merchants, and cousins. There is a collection of Fassitt papers held by the Pennsylvania Historical Society; I've seen them briefly but they don't seem to shed much light on the Maryland branch. One Thomas Fassitt retired and bought a large house and farm in northern Cecil County in about 1875; here's an image from the 1877 Atlas of Cecil. The Presbyterian Historical Society is in Philadelphia but does not seem to have records for Buckingham Church, the one the Fassits were associated with. They did tell us that records for First Presbyterian in New Orleans are held in North Carolina (go figure) so maybe we can find something out about Dr Charles through those. Apparently William Fassitt (d 1871) married first a Methodist, so we'll have to look for some Methodist church records. Another side of my mother's family has a nautical Eastern Sho' connection. Her mother's grandfather was a Life Saving Service Captain on Smith Island, Virginia (near the Cape Charles Light) from 1875 on. Click here for a photo of George D. Hitchens in uniform: my great-great GF, then. He was known as "Poppa George" and his wife as "Poppa Sallie". Click here for a photo - date unknown - of both of them. [He is discussing hunting wildfowl.] May 17 we reached the Life Saving Station of Smith's Island, by the invitation of its genial captain, George Hitchens. It was blowing a furious gale and raining in blinding sheets, with the wind hanging steadily on to the northeast. The birds had not come, the crew told us, but Captain George said they would come in on the wings of the storm that night. At daylight we caught the old plug of a horse from the stable and hitched him to the cart. The Smith's Island Light, just over our heads, the greatest light of the Atlantic coast, was still flashing its gleaming message "45," over the storm-clouded sea. Within an hour we had reached the bend of the beach, five miles above the station. The tide had just begun to ebb as the sun burst from the ocean through the cloudbanks of the passing storm. The Captain was right. The birds had come on its black wings. The beach was literally covered with them. We were the first on the beach, the first day of their season, and the wind was lowing a steady gale from the sea, just the way we wished it." Note: The Library of Congress has put The Life Worth Living online in electronic form. 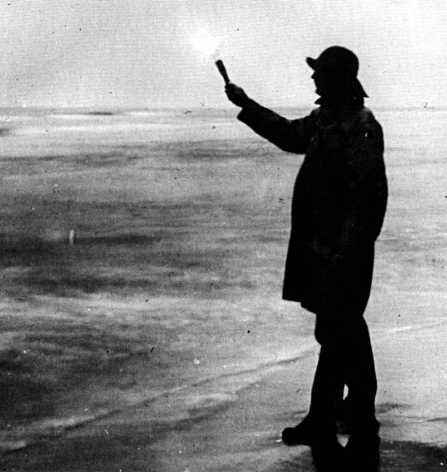 Click here to see a photo from the National Archives of a surfman burning a warning flare or Coston Light. These were used to warn ships to turn around when too close to the beach. 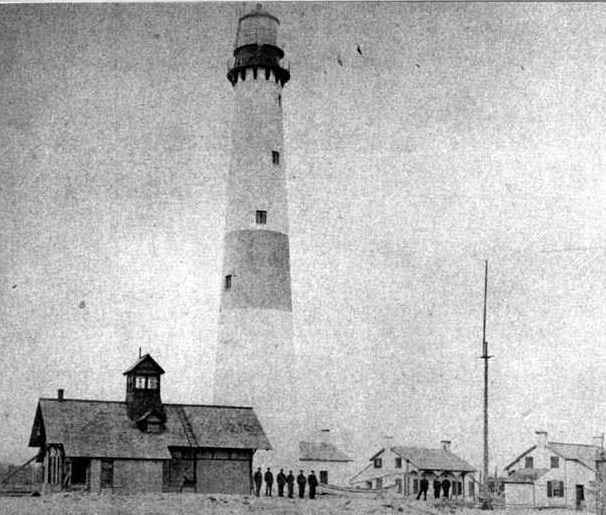 This photo, from Badger and Kellam's The Barrier Islands, shows Smith Island Light "in the 1880s" with the lifesaving crew posed below. Photographer unknown. Harper's Magazine apparently published quite a bit on the Life Saving Service, and if I get a chance I'll reproduce the articles online. Nathaniel Holmes Bishop paddled a paper canoe from Canada to Florida in 1874. He passed down Sinepuxent Bay and Chincoteague Bay. See Chapter 8 in his Voyage of the Paper Canoe. (Chapter 8 begins in Lewes, Delaware, and continues from there, so anyone with roots in Delmarva will enjoy his description.) Bishop's friend in Worcester County was Mr. B. Jones Taylor living near the St. Martins River and involved in Ocean City's early days. Robins, Purnell, Whalley and other names get mentioned. Itinerant Observations in America by Edward Kimber includes an account of a sea voyage from New York to Sinepuxent and then further on to Yorktown, ca. 1750. Click here. Exciting stuff with shipwrecks galore. I suppose I will have to go find this. Anyone know of more paintings? Maybe the mosquitoes scared the painters away. Excerpts from land records, wills and suchlike things found in Worcester County or the Maryland State Archives. Do click here for an Address to the King and Queen from 1689 by the residents of Somerset County. click here. (James Fassitt was not our direct ancestor). Patrons of the 1877 Atlas of the Eastern Shore for Worcester County, including Uncle Albert J. Fassitt. Click here. 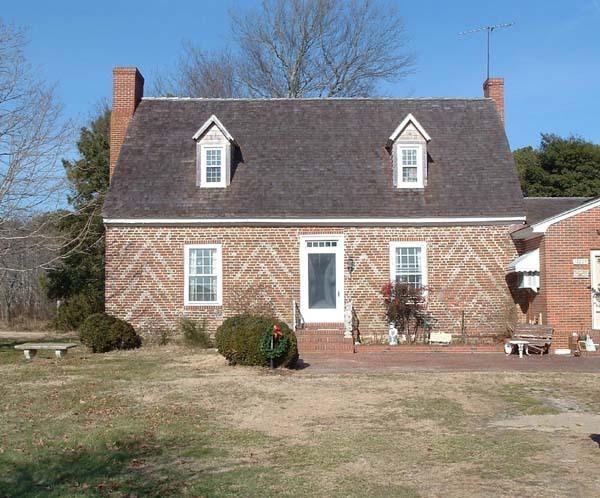 Name, acreage, occupation, birthplace, and date established in Worcester County. Mike Hitch has black & white GIF images of the maps from this Atlas. For Worcester County: click here. Grainy but readable, showing houses and farm buildings with owners' names. 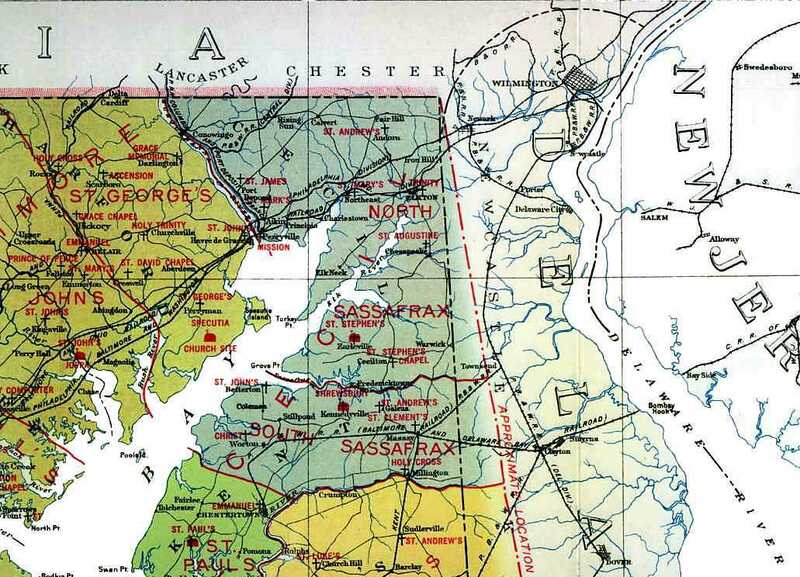 Click here for a map of Worcester County from the 1877 Atlas. Click here for a map of Berlin from the 1877 Atlas. Click here for a map of Delmarva from the 1877 Atlas, showing major towns and rail lines. Warning: 350K+ jpg image! Remained in Worcester County and ran things. Never married. Raised William's three daughters Laura Louise, Mary Elizabeth and Julia Ann. Click here for a cameo of Albert. Here are a few letters. Moved to Dubuque, Iowa, around 1830, merchant, helped found the city, and was involved in its government as late as the end of the 1860s. No known children. 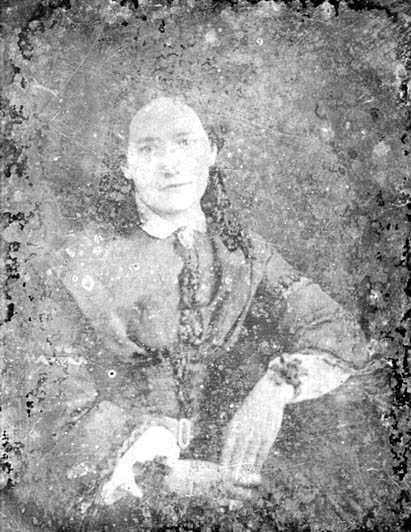 Wife Mary Ann Shannon, married February 1838 in Dubuque. This couple seems to have moved back to Maryland at least once, since they appear in the Worcester County Census and in land records. Click here for two portraits of Thomas. "Married at Dubuque on February 15th by Rev. Aratus Kent, Thomas C. Fassitt, of Fassitt & Shirman, merchants, to Miss Mary Ann Shannon, daughter of the late Mr. Shannon of Ste. Genevieve, Mo. 2/24/1838"
Studied at Washington and Jefferson College out near Pittsburg, then in Philadelphia with Dr McClellan, father of the Civil War's General McClellan. Moved to Brashear City/Berwick or Centreville (Franklin City), St Marys Parish, Louisiana; married around 1850 to Evaline Thompson of St Martinville. Evaline apparently died before 1860. Dr. Charles remarried in Louisiana, 1871 to Sarah Jane Royster at which point he promptly dropped dead by accidental poison. We have an obit and a "succession" or will from Louisiana, and a couple letters from Uncle Albert dating from around the time of his funeral. Poor Dr. Charles is buried in Berlin, MD. No known children. Sarah Jane seems to have been alive, not remarried, at least as late as 1905. Charles was named for Charles Rackliffe, who was a business partner of Charles' grandfather John -- I think. Here's a map of the part of Louisiana Dr Charles lived in. Update, late 2005: A gentleman in Lousiana has recently discovered the tombstone - broken in three or four pieces - of Dr. Charles' first wife and his baby daughter. It is on the plantation once owned by the Thompsons. Sally Ann had a daughter, Kate Fassitt, who married Edward L. Powell in 1868. It is not clear whose daughter Kate was, since she was born before Sally Ann married Richard Hudson. Back to William. His second(?) wife was Elizabeth C. Pitts Fassitt. She was the sister of Berlin bigwig Dr. Hillary R. Pitts. Besides the three girls Albert raised, she seems to have had two more daughters, Emma C. and Maria Virginia, but by 1860 she and these two are not living with William anymore, so something happened. Emma is said to have married a Samuel Carey or Cary of New York, and Maria to have married a "Wm. Mancredi" of Philadelphia. No Mancredis have turned up, and maybe it was Tancredi. There are a few of those. We have not yet found where Elizabeth C. is buried, only her will in the county records. William is also mentioned as having married a Juliana Bradford and/or a Phenetree Gray. We're not sure where our sources even got these names, and we're also suspicious since three or four Williams -- all cousins -- were running around between about 1800 and 1840 in Worcester and neighboring areas. So there may have been enough Williams to go around. So far we have "our" William; a failed lawyer named William D Fassitt; and William D's father William; plus Captain Jack's brother William, who died circa 1800. Bradford and Gray families to seem to have been in Worcester County in the late 1700s but there isn't a lot of detail so far on who they were. We are inclined to consider these wives mythical. Rhodeah later cohabits with John Cropper and marries John Franklin. 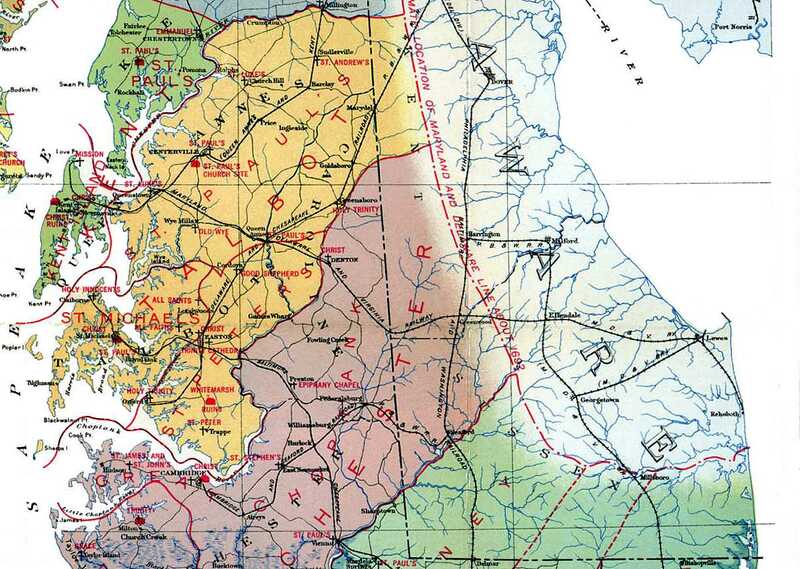 John seems to have started out near present-day Chesapeake, VA, in what was then called "Lower Norfolk County." The three Whittington/Fassitt daughters we have nothing on. 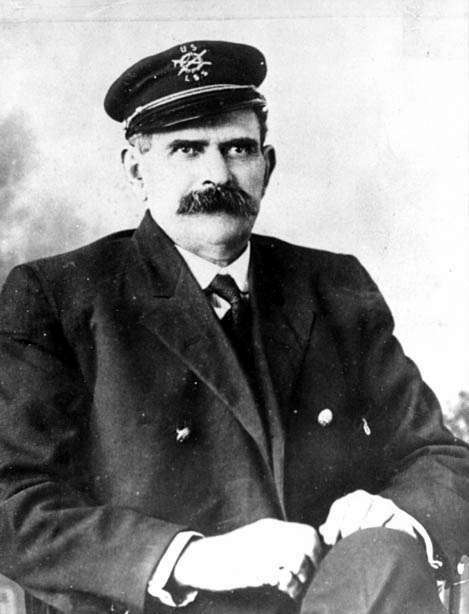 Portrait and Photo of Captain Jack. Laura Fassitt Tingle m Thos Nathaniel Tingle: Tintype of Laura ca. 1866. Thomas Tingle was apparently in the Conferedate Army in the War Between the States before he was married. He is related to Hugh Tingle, who married Elizabeth Powell ca 1695. Walter Powell, Elizabeth's father, lived on the Pocomoke River near present-day Rehobeth. 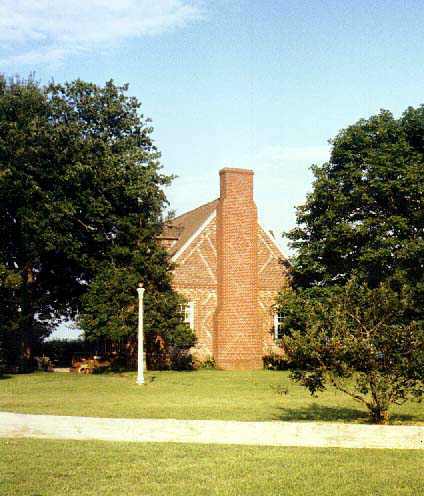 Part of the very old Powell-Benson House was removed from Somerset County to the Museum of Southern Decorative Arts in Winston-Salem in the 1960's. More info coming on these various people.  The British attack one or another of the Fassitt houses in the War of 1812. Someone buries the silver which is never recovered. Genesar/Genezer seems to be the house in question, near then-extant Sinepuxent Inlet off South Point. I'm still a little confused about how Genezar fits into the family. On the other hand Matthew Wise in his book The Littleton Heritage says, without providing a footnote, that it was the property called Goshen and Mayfields which was attacked. Others say it was the Fassitt House. No one provides a cite to an actual source. The northern part of the Goshen and Mayfields property is now Frontier Town. Sigh. 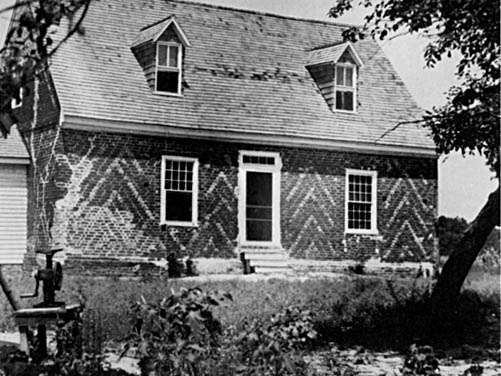  The Fassitts have a saltworks on Assateague in the 1700s. No hard evidence yet, but it would be an obvious industry on the barrier islands.  Still looking for traces of what Captain William traded in. Cypress and other lumber was certainly one likely item. Salt might make sense too.  We have pretty good evidence that a "Slave Susan" grew up with the Fassitt girls in the 1840s-50s. A court record shows she was considered the property of the three sisters in the trust which Uncle Albert administered. "Slave Susan and child" were sold to Louisiana late in the 1850s. 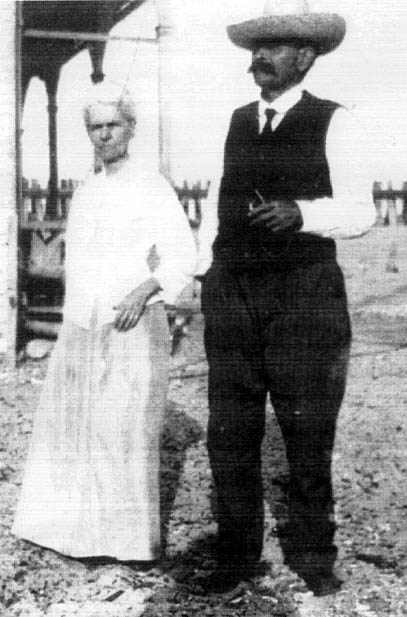 By 1870 a Susan, Black, and her husband, also Black, with a son George Fassitt, Mulatto, appears in the census in the town where Dr. Charles R. Fassitt had a sugar plantation. George is exactly the right age, and aside from Dr Charles R. Fassitt there are no other Fassitts in the area. It appears that Susan was sent to Dr Charles, perhaps to avoid a scandal over the baby's father. There's no other real explanation. Letters from Julie Fassitt Carey to her Uncle Albert (then traveling in Louisiana) in the early 1870s show much concern for Susan and George so clearly there was a great deal of affection there. What we don't know is who George's father might be, or what happened to Susan and George after 1870. 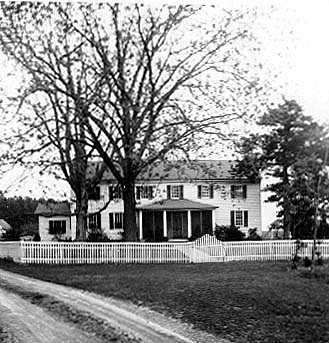 In 1820 Zipporah Williamson (who had inherited the property) sold it to Isaac Bowen for $6,000. Bowen died intestate soon after the transfer. Apparently the many children and widow could not agree on a division of the estate, and at this time Maryland's law concerning inheritance was changing too. Bowen's son, Hoah (Noah?) applied to the county court for an equitable division of his father's property. The settlement went on for about 15 years. In 1835 a commission appointed by the court appraised the property and then sold what the 263 acre "Mannor farm", part of "Gocion and Mayfield", to John Fassitt Sr. This is "Captain Jack", above. The old family burial ground is said to be "where the peach orchard was" but I have no idea where that might be relative to the house. Another house, "Mayfields", situated on another part of the land called Goshen and Mayfields, burned down. It was on property which is now Frontierland. Or Frontier Town. Or whatever. For more about Worcester County and its Architecture, see Paul Baker Touart's wonderful book Along the Seaboard Side, 1994.